December in the Castle Kitchen – It’s Game Time! December has arrived in earnest, office parties, roast turkey, sprouts, mince pies, crackers and the odd sherry. Always a fun time of year in the restaurant and a time of year I very much enjoy. We still have some availability for dinners for our Christmas Joiner Party on 15 December as well as Christmas Eve and New Year’s Eve if you’re interested. But these places are going fast so I’d grab them soon. The weather has chilled right down so it’s time for porridge in the morning, mulled wine and hearty food to keep us going through the day! At this time of year there’s a ready supply of wild partridge, woodcock, widgeon, teal, pheasant, and fallow deer. Game is a true passion of ours, it is delicious to eat and an absolute joy to have on the menu. Each year we love to learn more about it; discover more about the people involved with it, how it’s reared and the journey it takes before arriving in the kitchen. Our game supplier Rob Hawker, is one of the best I’ve worked with. His knowledge and passion is mind blowing. Rob is normally at Taunton Farmers market most Thursdays and will give you hints, tips and even recipes – he’s a real character and you’ll leave his stall with a smile and enthusiasm as to what you’re going to cook. We have a beautiful partridge dish in Castle Bow Restaurant. And make sure to check Brazz’s specials board. It has venison, pheasant, mallard and may other delights. We tend to have a lot of game on special at this time of year and we use it as and when it comes in. 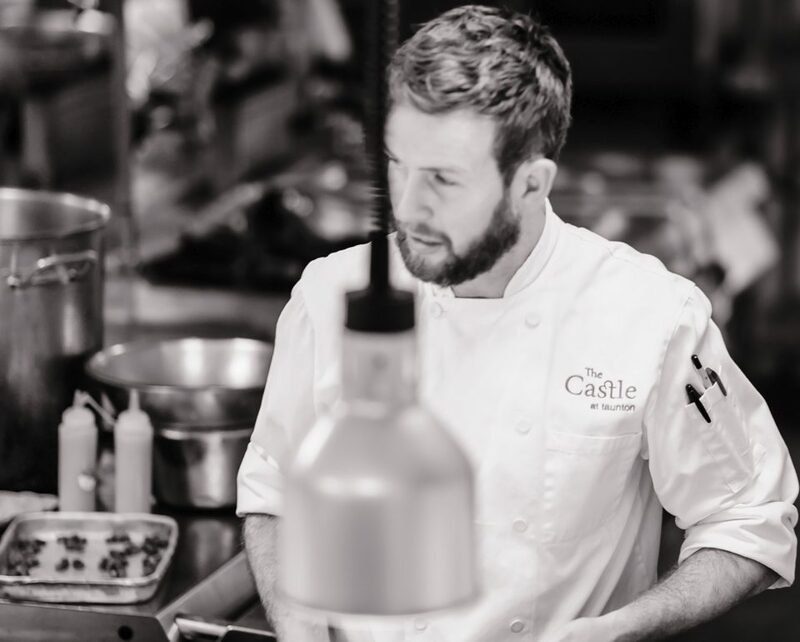 It’s been a tough year in the Castle kitchen and as we move closer to 2019 we look forward to the challenges that the new year will bring and we will continue to push the restaurants forward. The focus for 2019 is consistency and to make all our food better using fantastic west country produce.